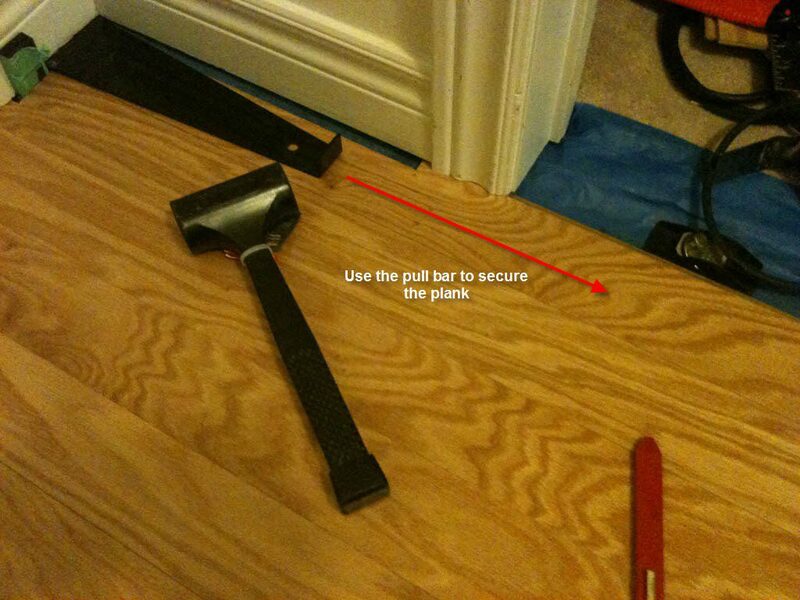 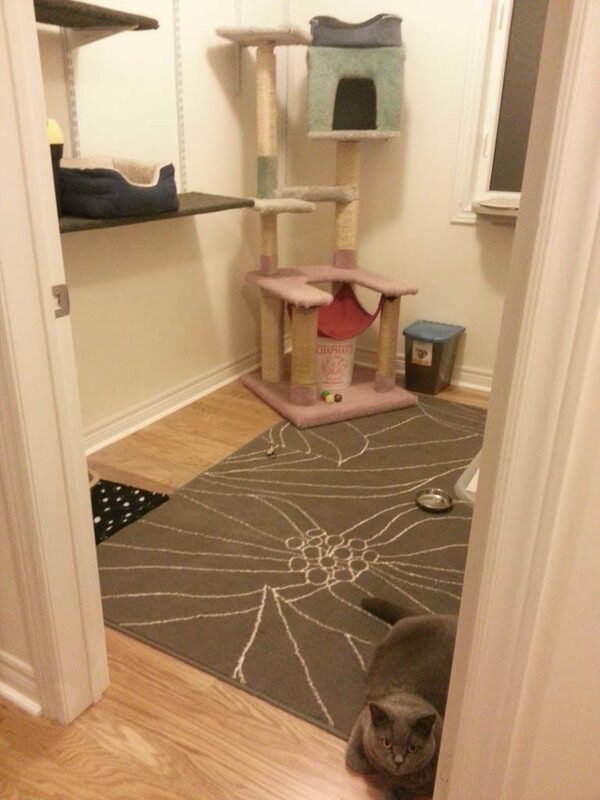 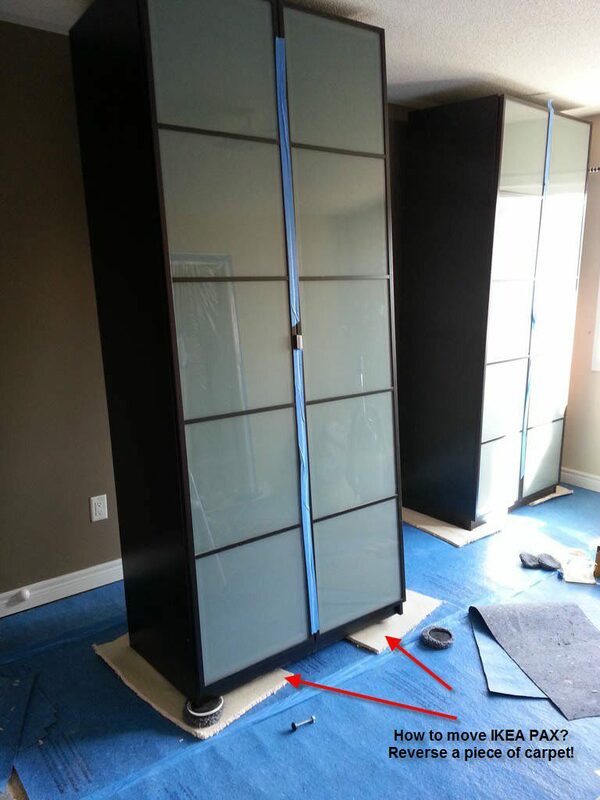 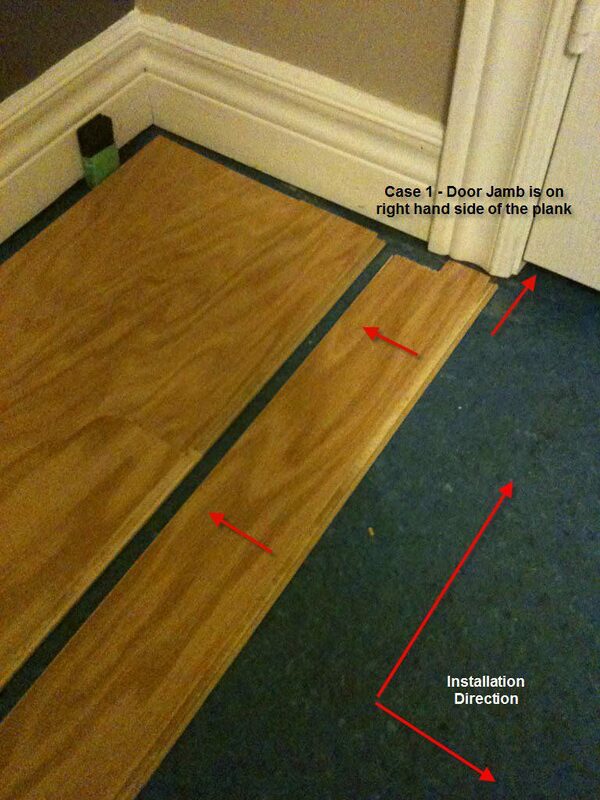 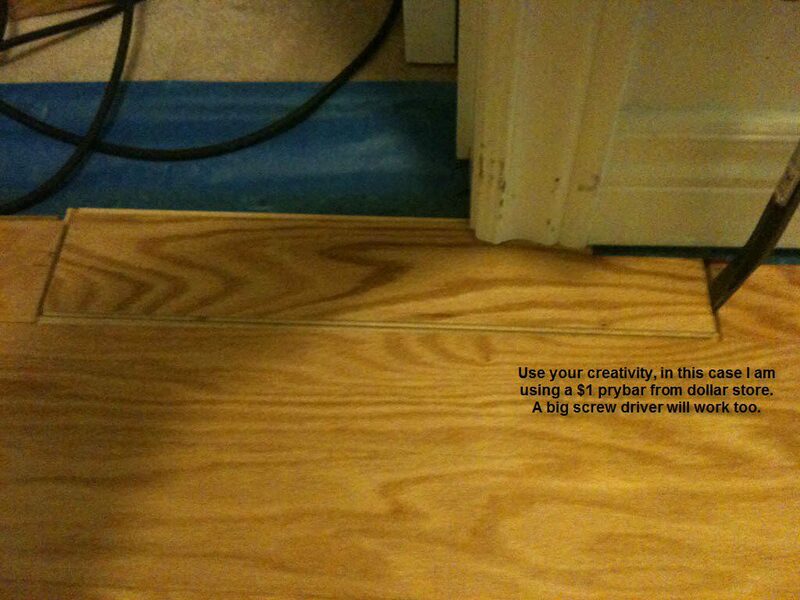 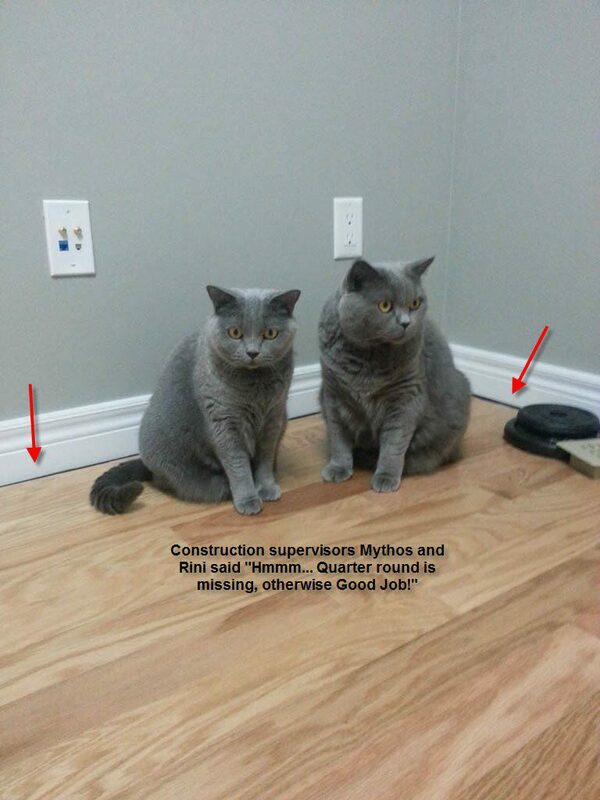 Edited: Not to be confused with the new posts, this DIY project was done in our old house many years ago back in 2012. 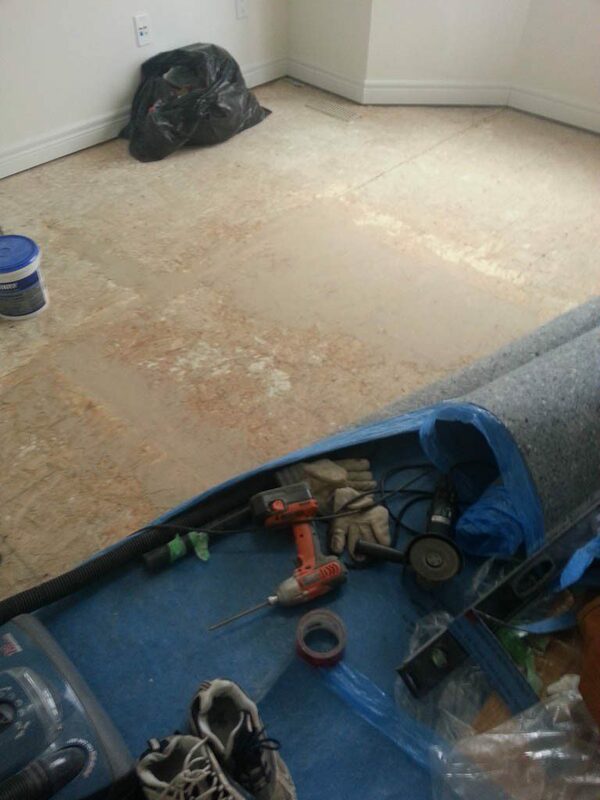 After 7 years, the old carpet on 2nd floor from the builder was getting a bit out of shape and not as easy to maintain. 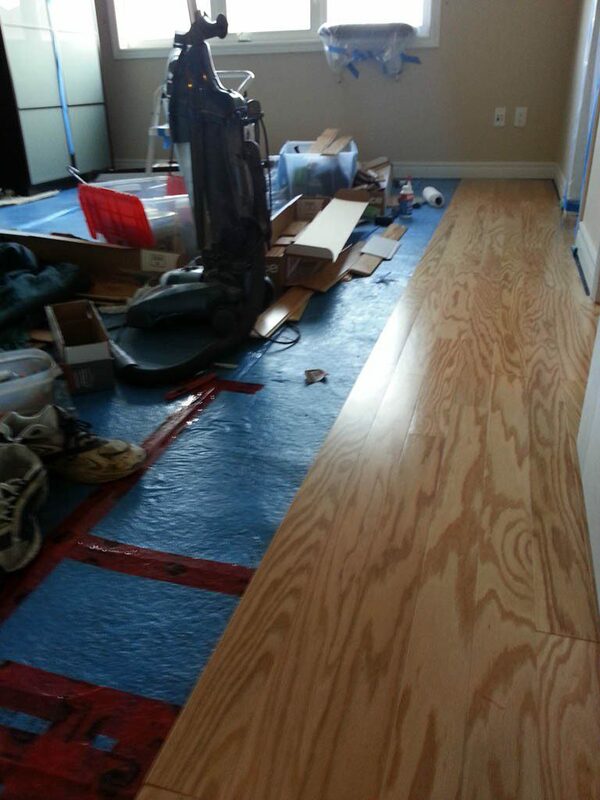 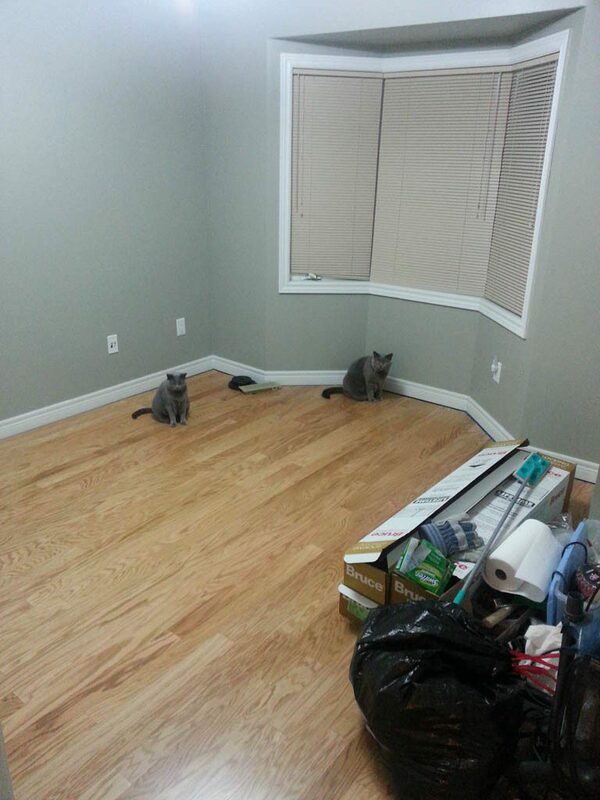 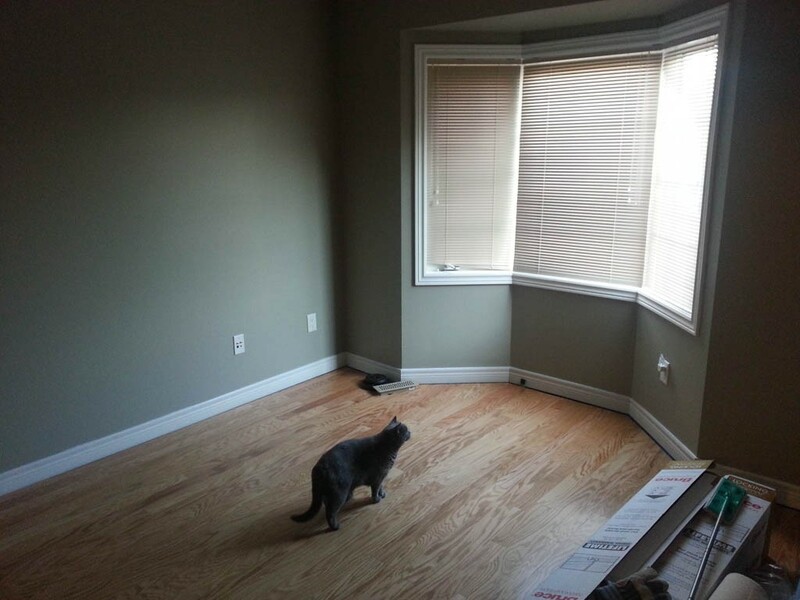 So we decided to replace it with either hardwood or laminate flooring. 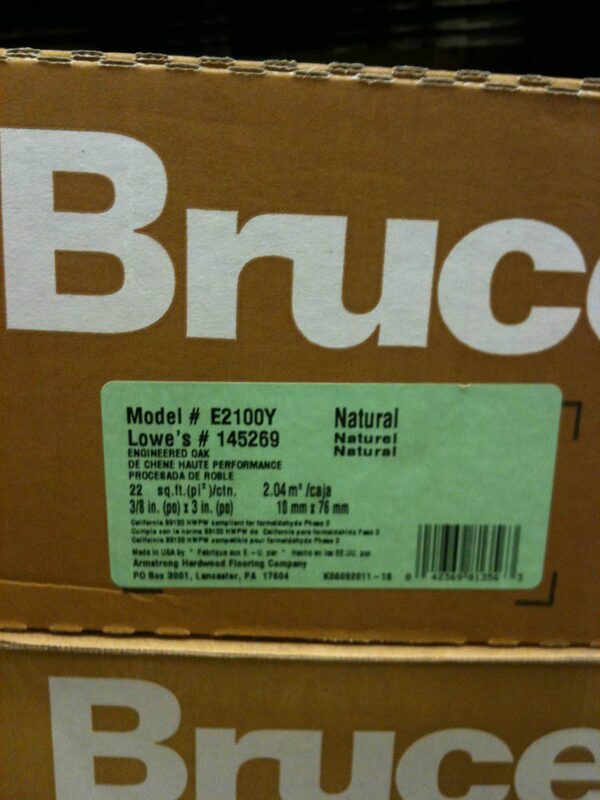 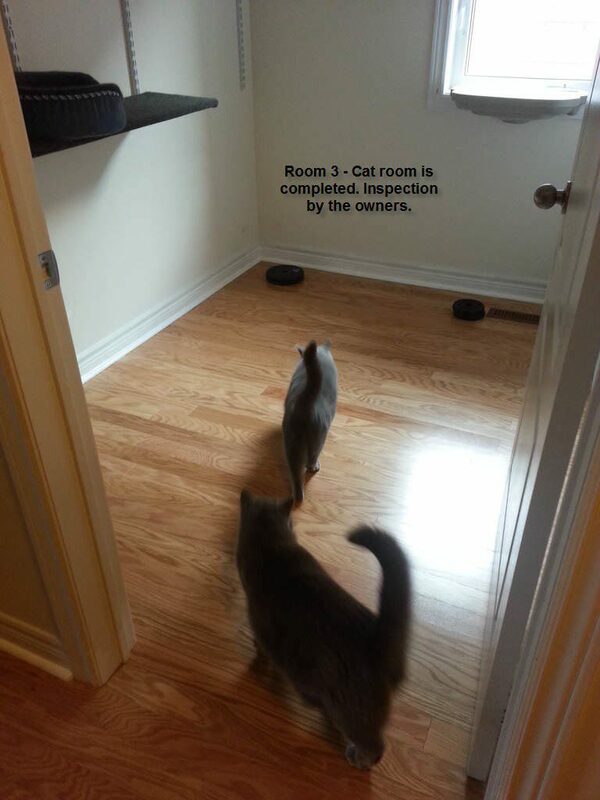 After shopping for a while, we decided to go with Bruce hardwood because it is Made in U.S.A and not in China, this is very important because we don’t want our cats to get in touch with some unknown toxic chemical. 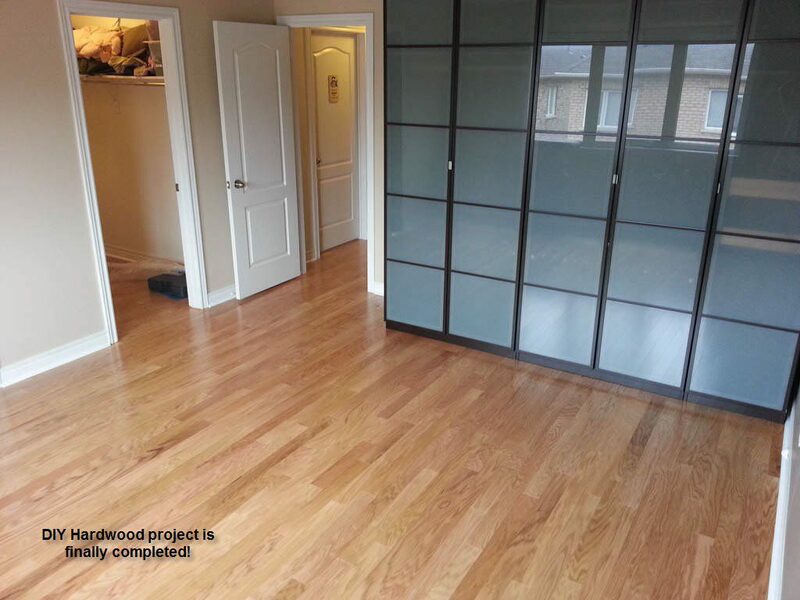 We chose Engineered Oak hardwood over laminate because we wanted to have a smooth transition from the main floor hardwood where the color and texture matched perfectly. 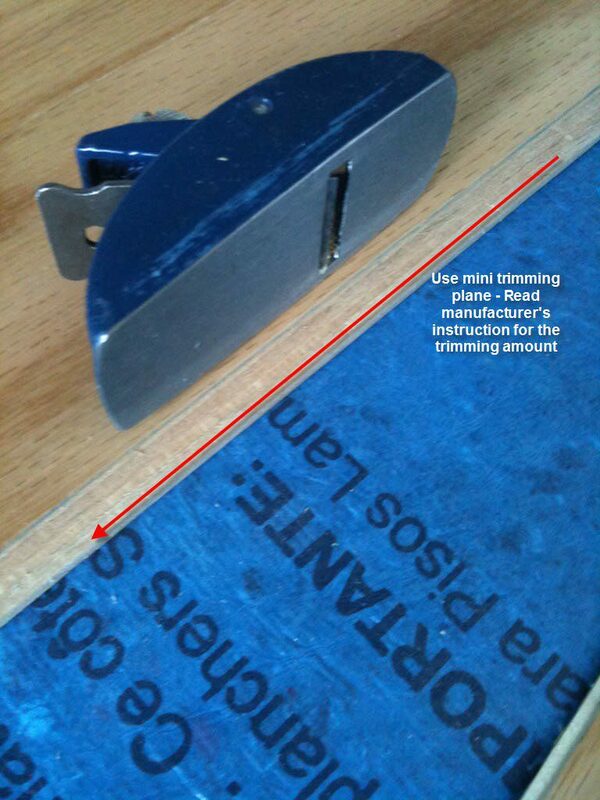 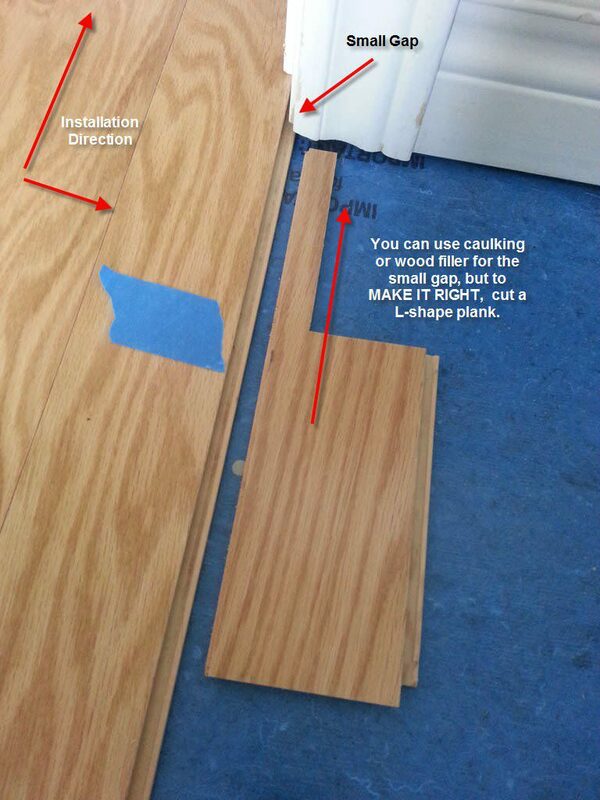 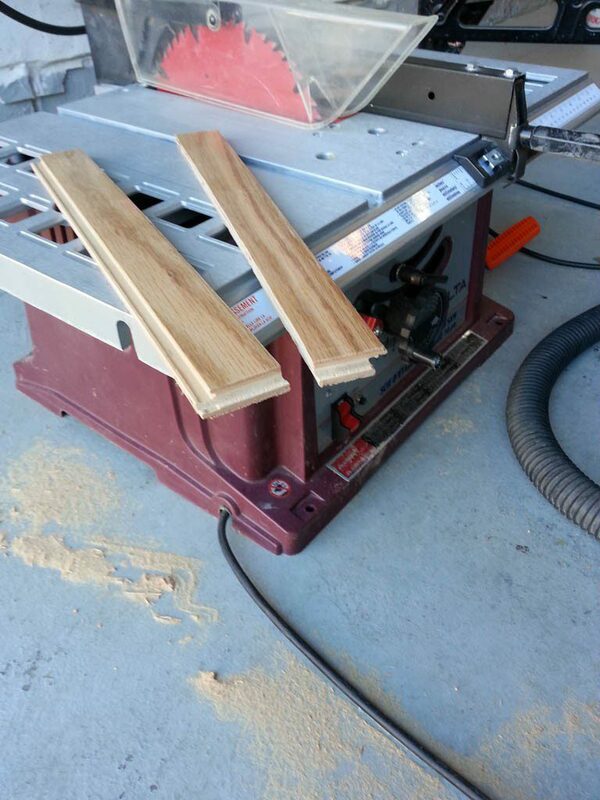 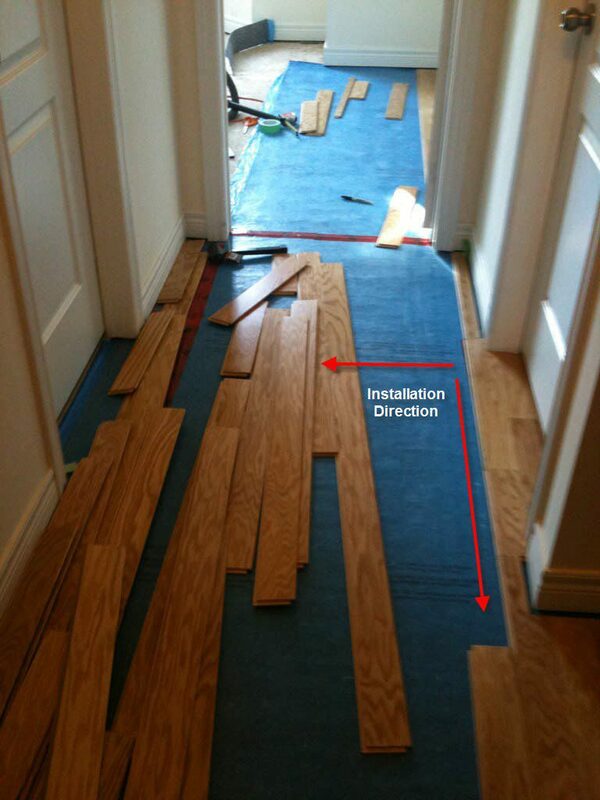 The type of engineered hardwood we chose was using “click-locking” or “click-n-fold” (similar to laminate), so I did not have to rent or buy the expensive nailer. 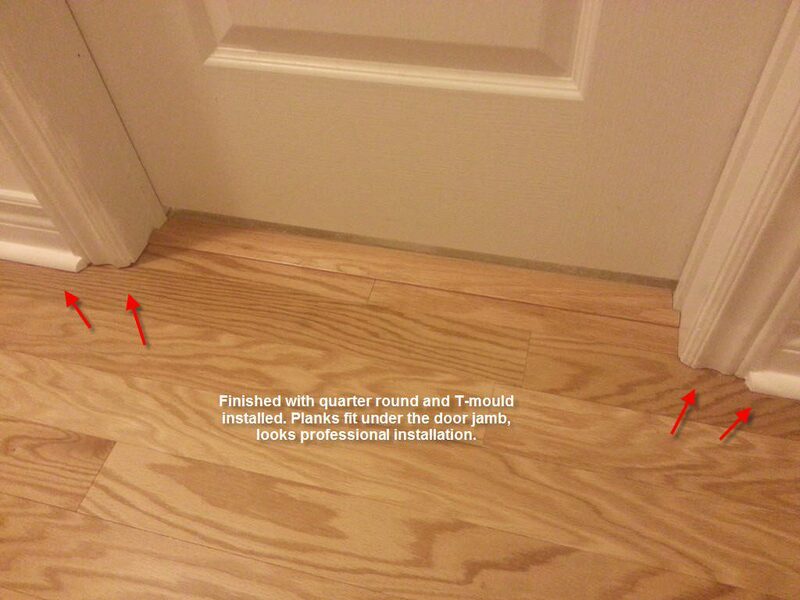 The reason was that I couldn’t finish the project in 2-3 days like the professional with a team. 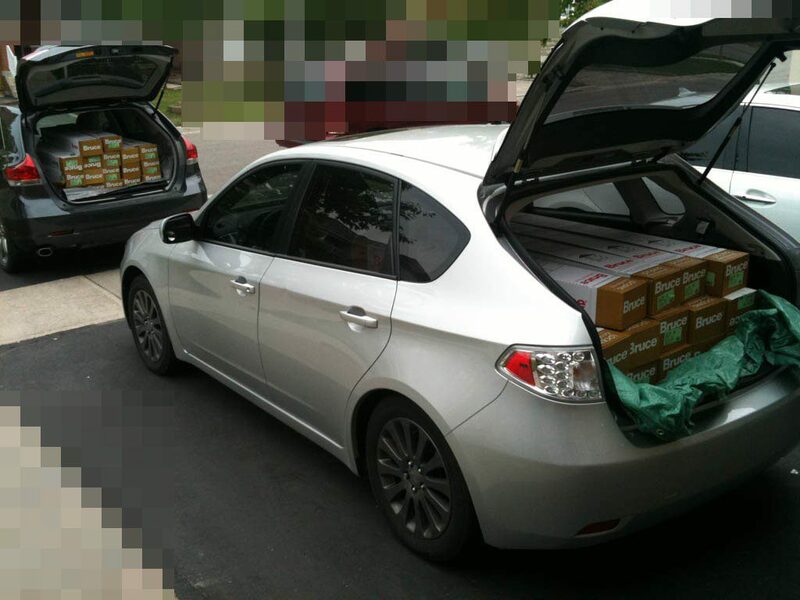 I got full time job and I was the only person to do it. 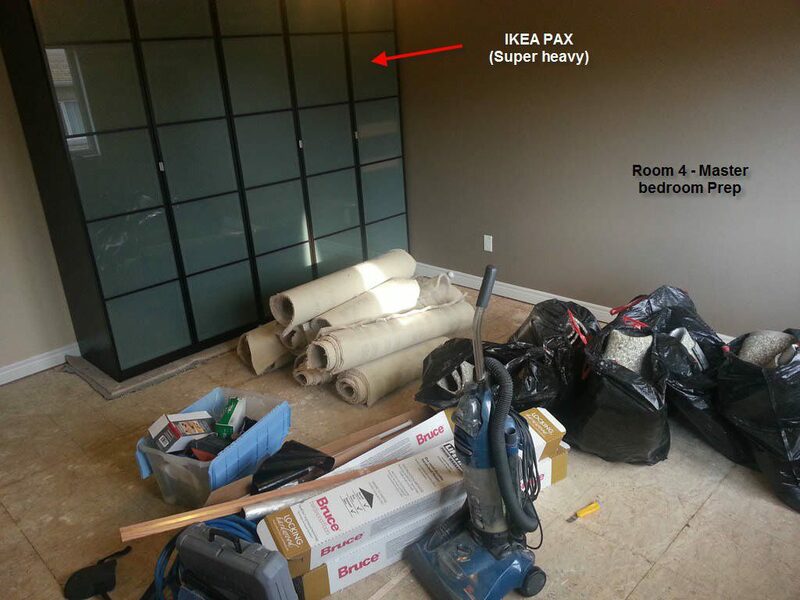 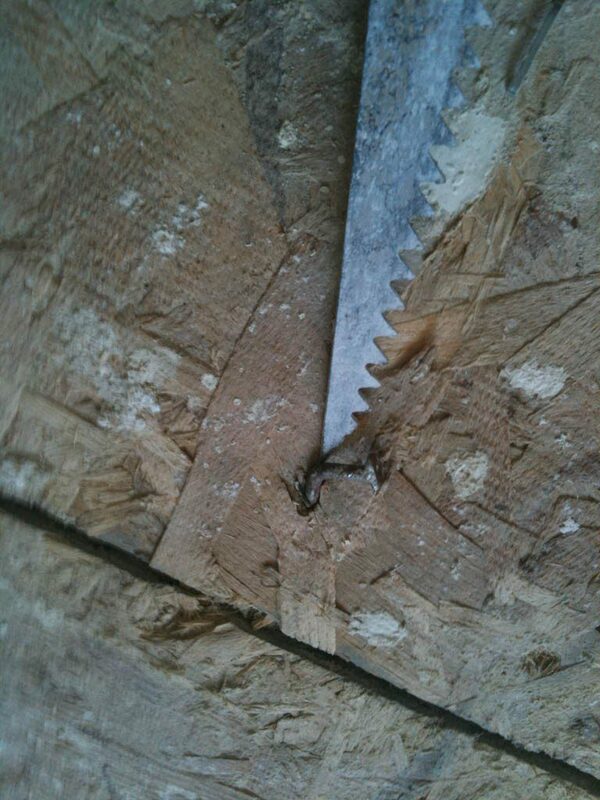 At rental $50/day, the nailer was too expensive to rent and wasn’t worth to buy either ($600 for a decent one that won’t jam the nail – I did all the research). 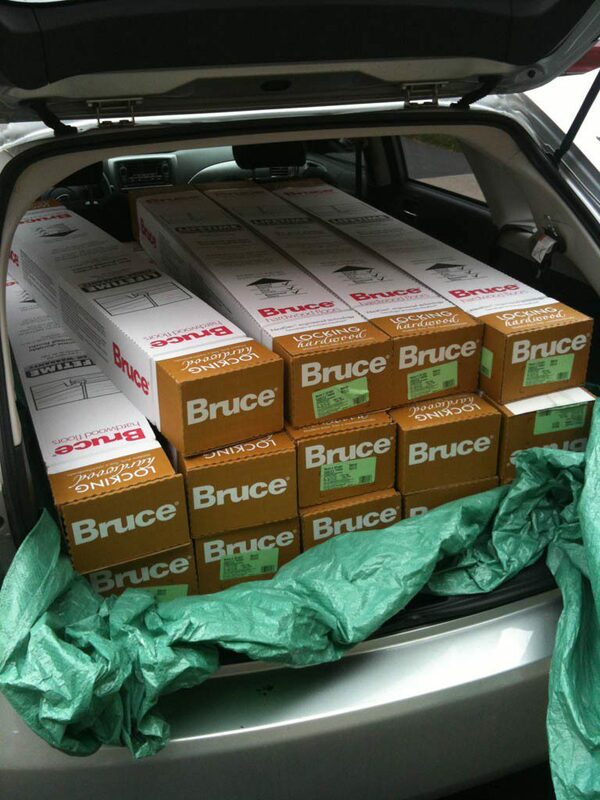 With 15% off at Lowes, we loaded our cars with the boxes. 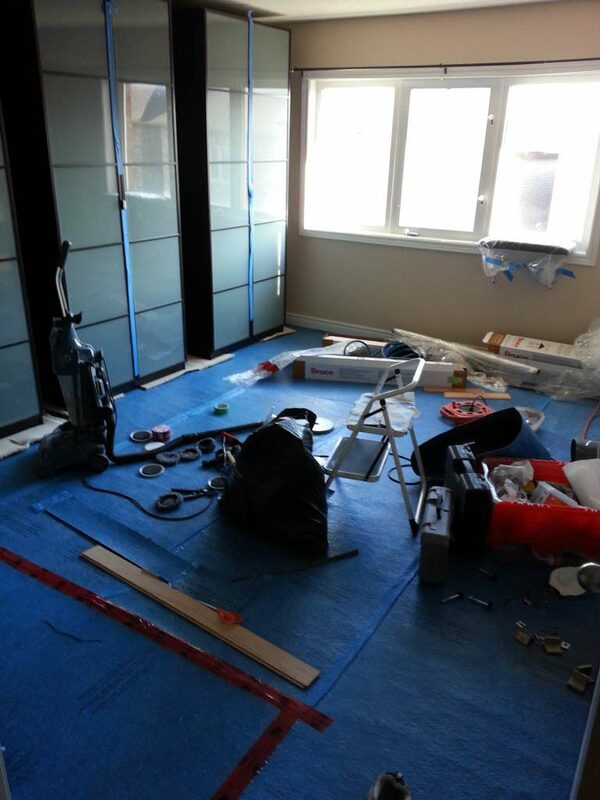 We had 4 bedrooms and a hall way to cover and the project took around 4 months. 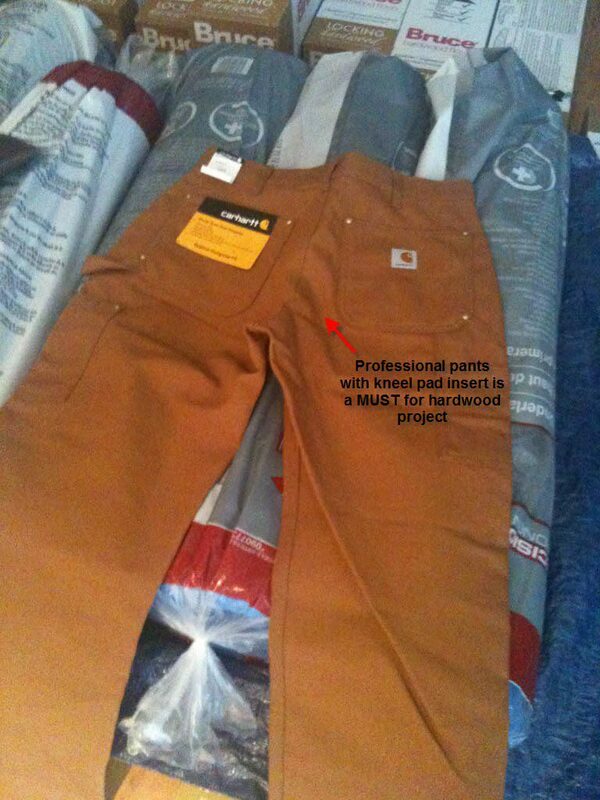 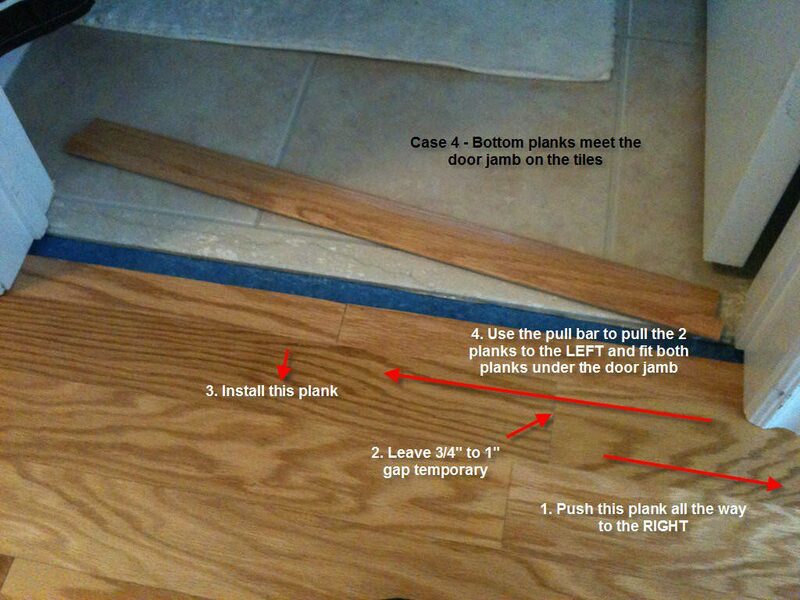 I added some description on the photos to help the other DIY people. 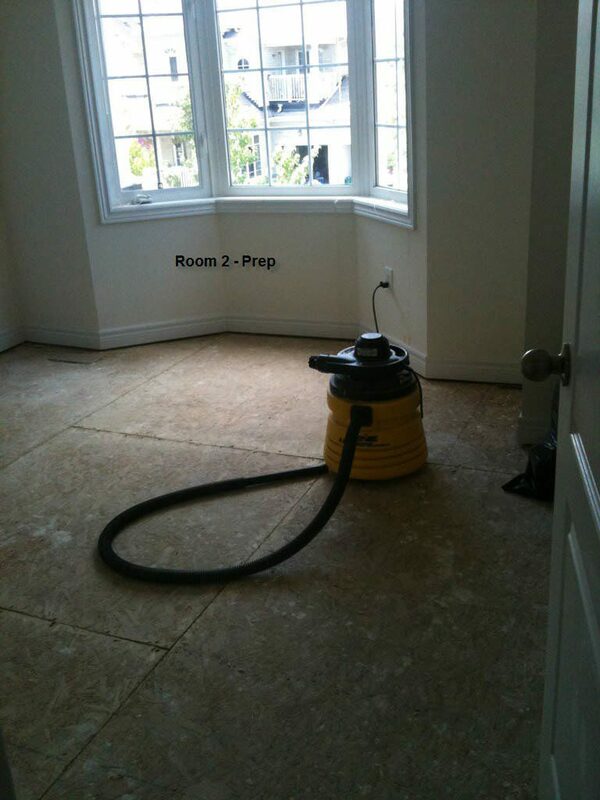 Remember, make it right! 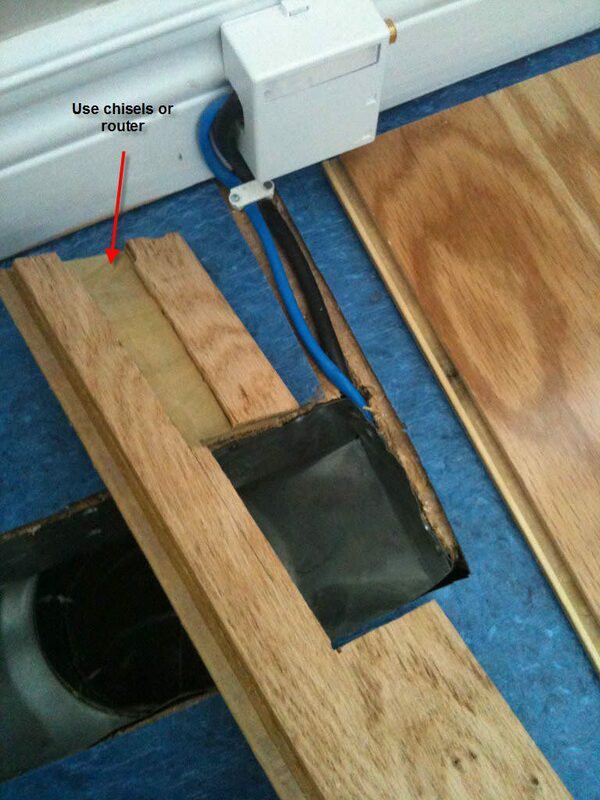 Note that on one of the rooms, the coaxial cable, Cat-5e cable and external box were there many years ago, I had no plan to re-wire it properly and install the jack on the wall. 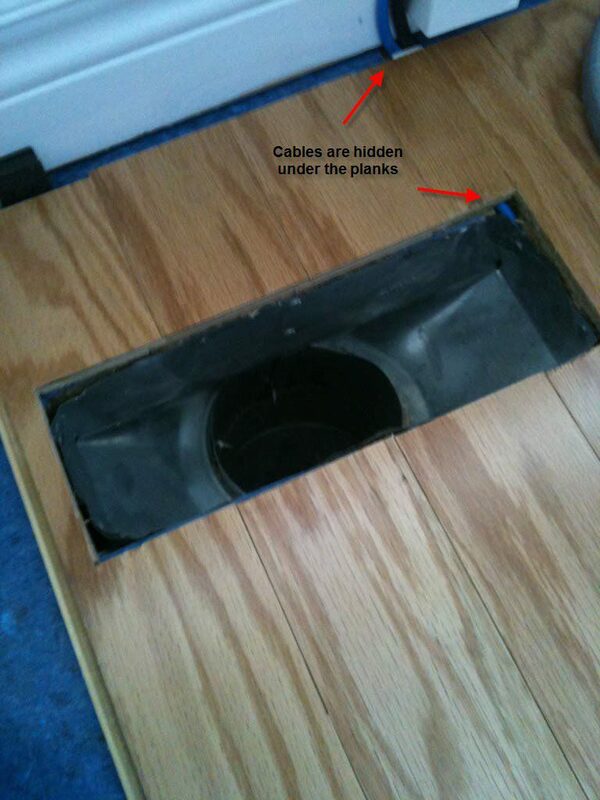 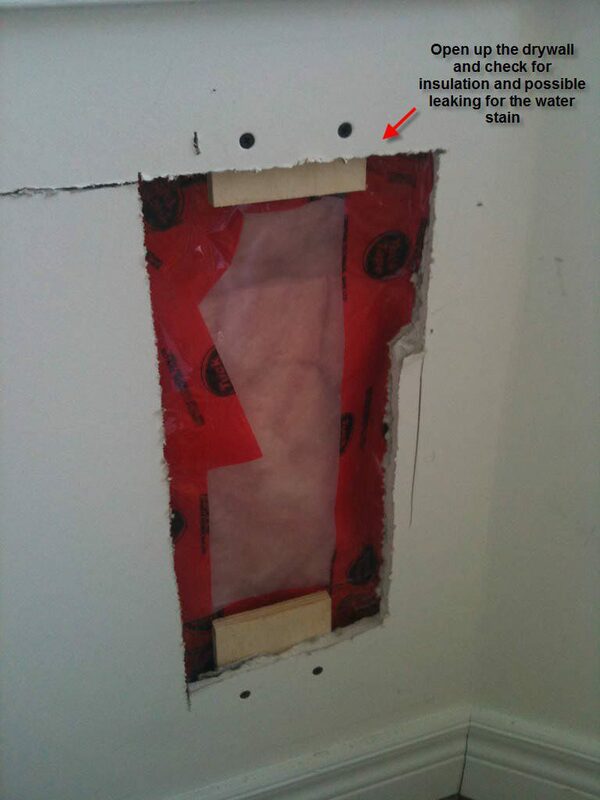 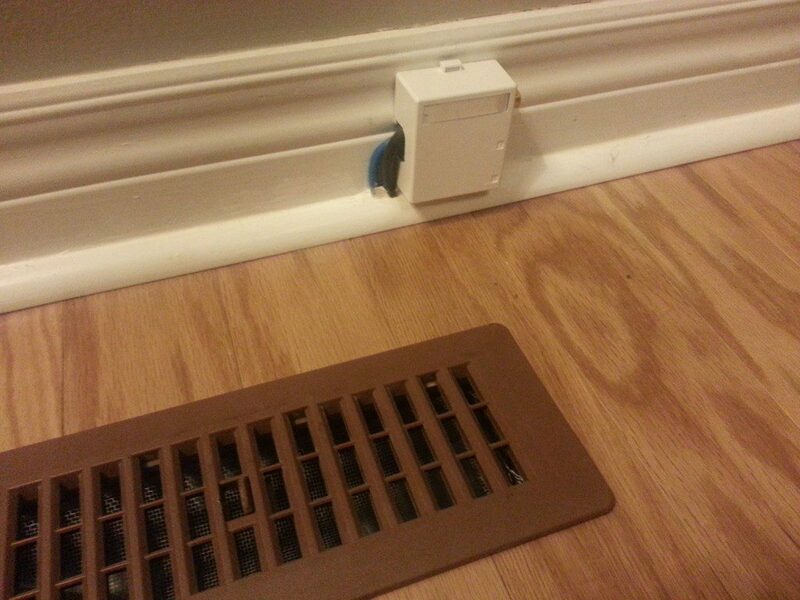 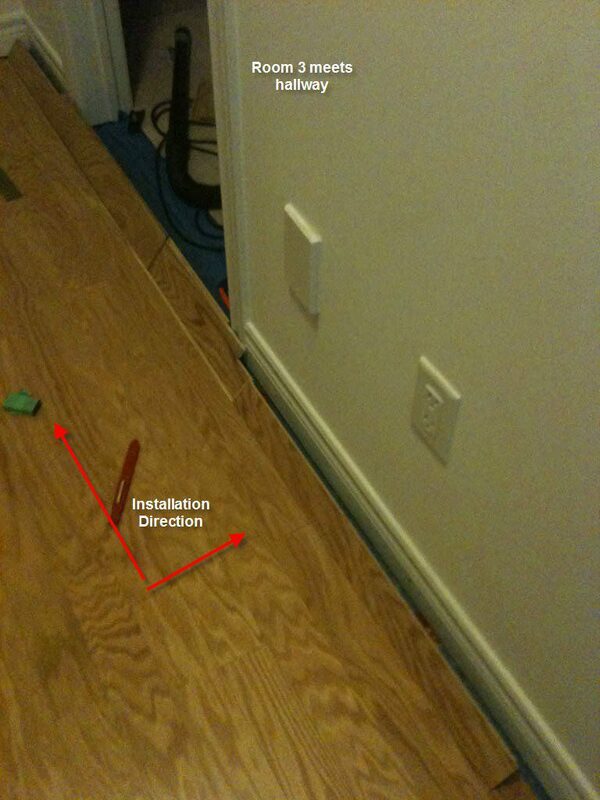 There are a lot of videos on YouTube that gives you incorrect information on installation. 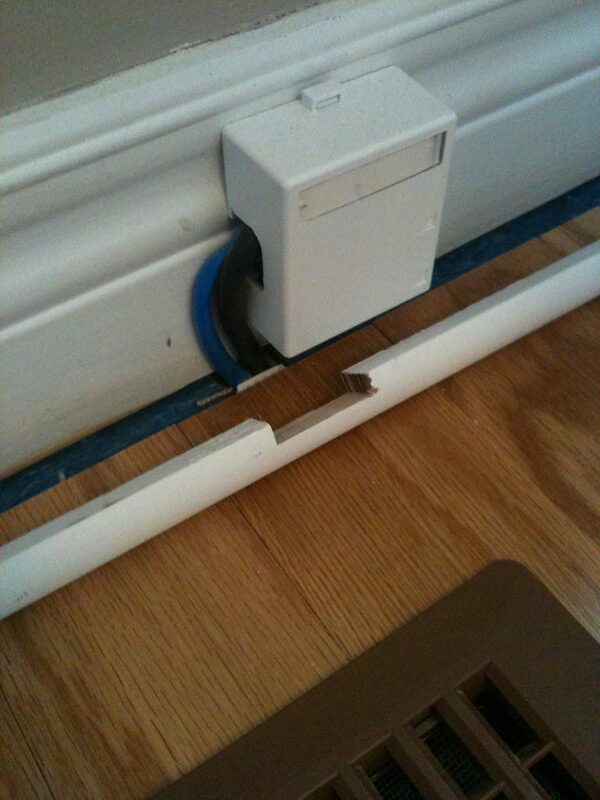 Many of those so-called professional (although they look like one) really lack of skills and have no common sense. 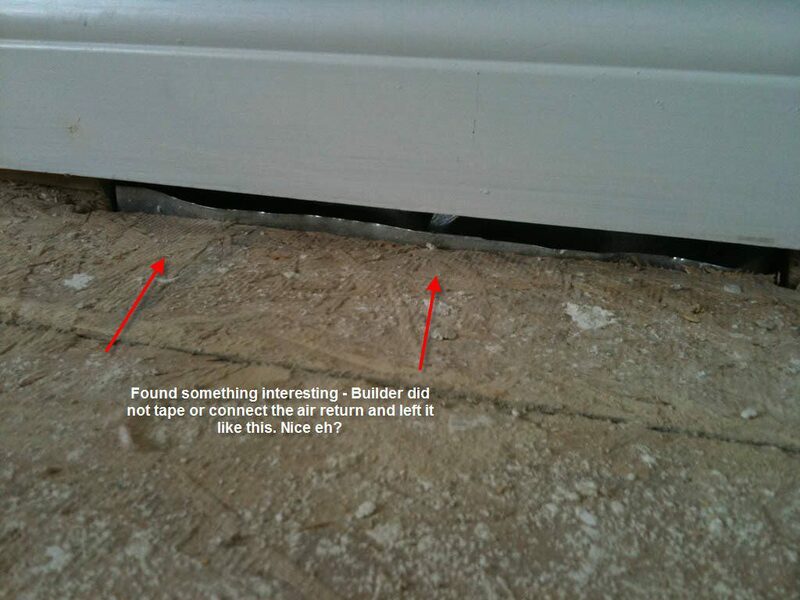 Use your own judgement and read articles and watch videos from sites with reputation. 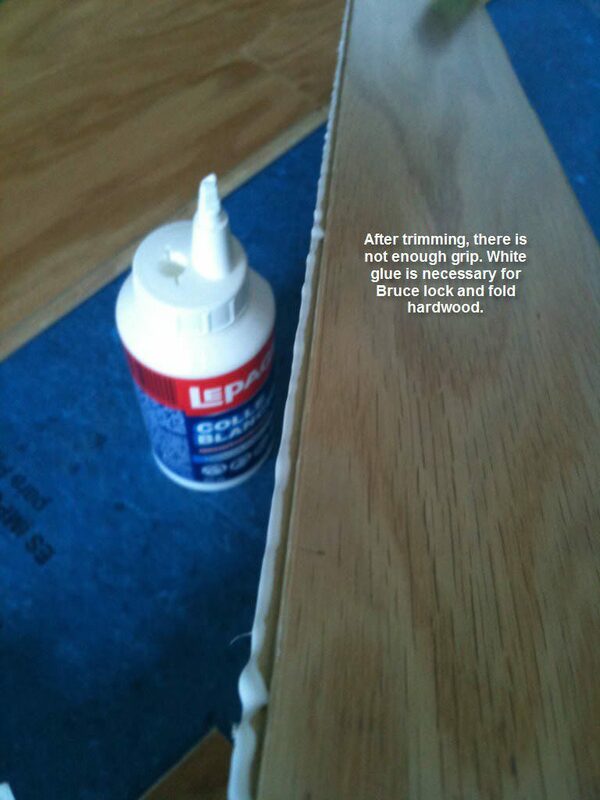 Do proper research before starting. 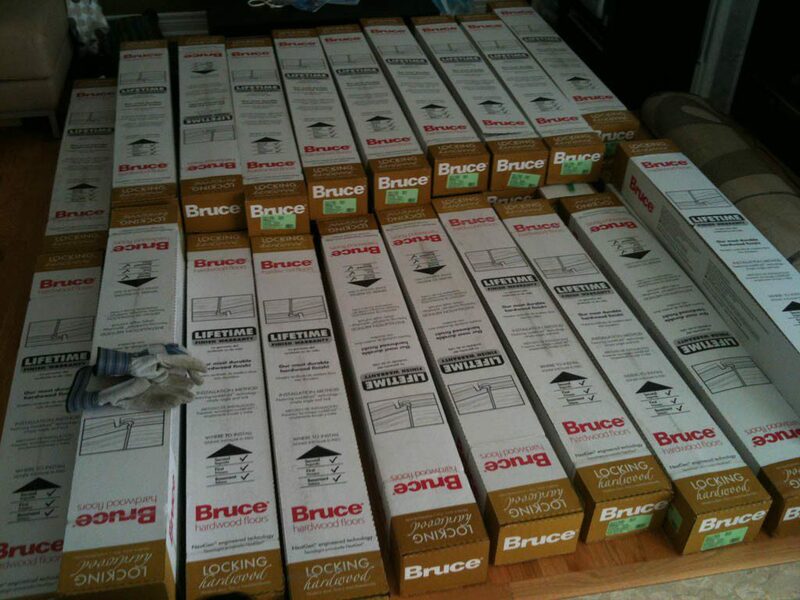 Bruce makes very good flooring product and we are very happy with the result, we are so glad that we got rid of the carpet. 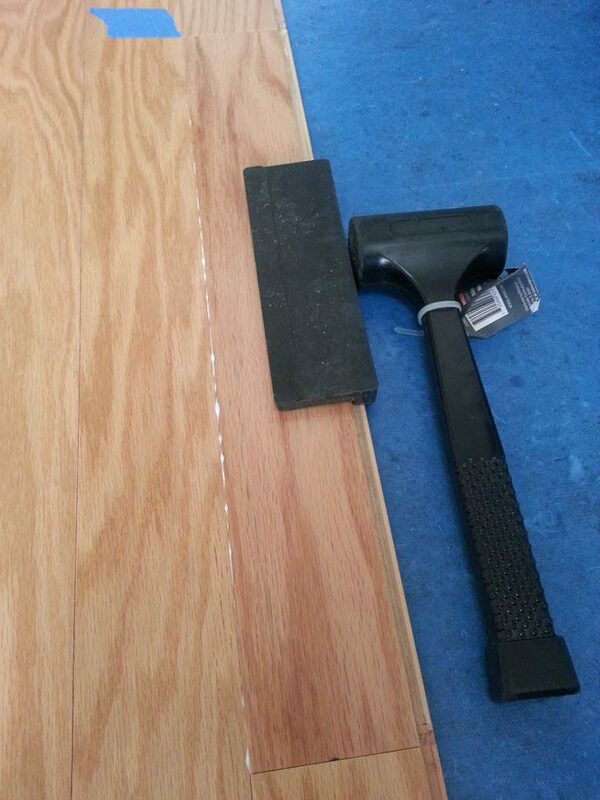 Since the engineered lock and fold floor is considered as floating floor (no nail or glue), you have to expect when you walk on it, the sound is not as solid as solid hardwood. 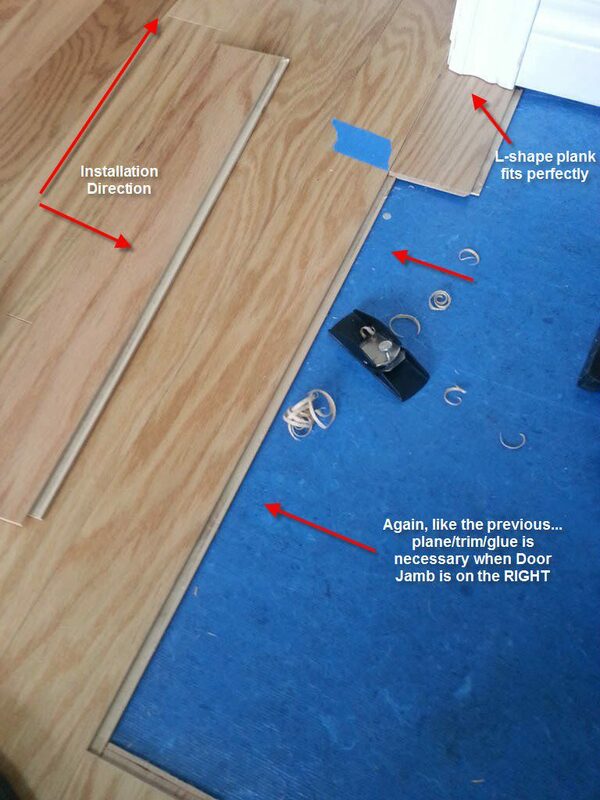 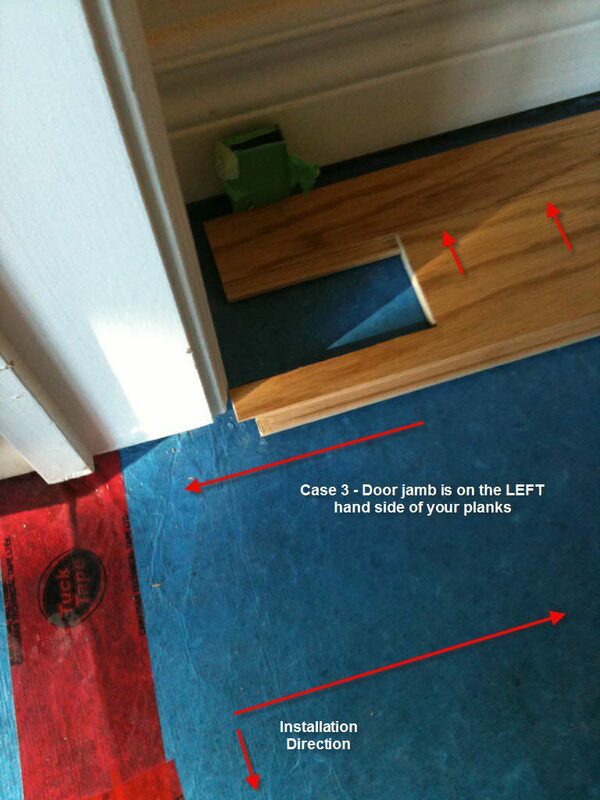 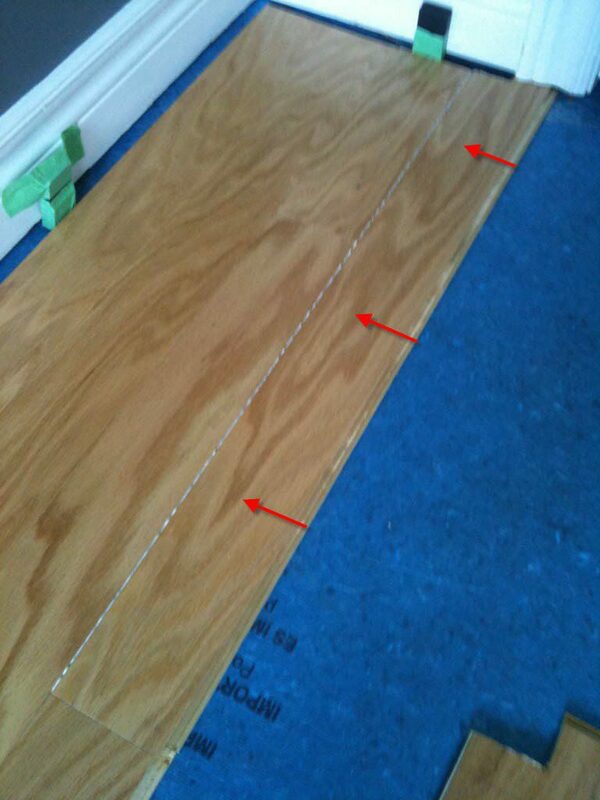 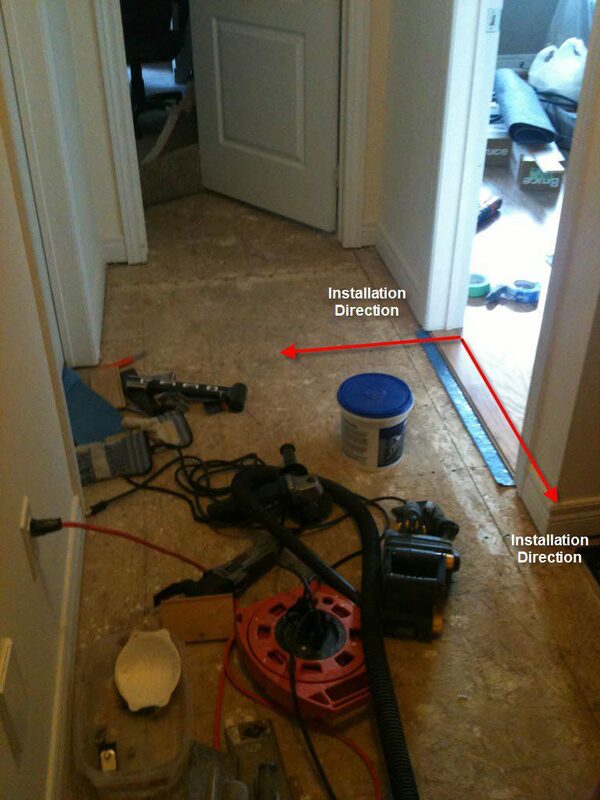 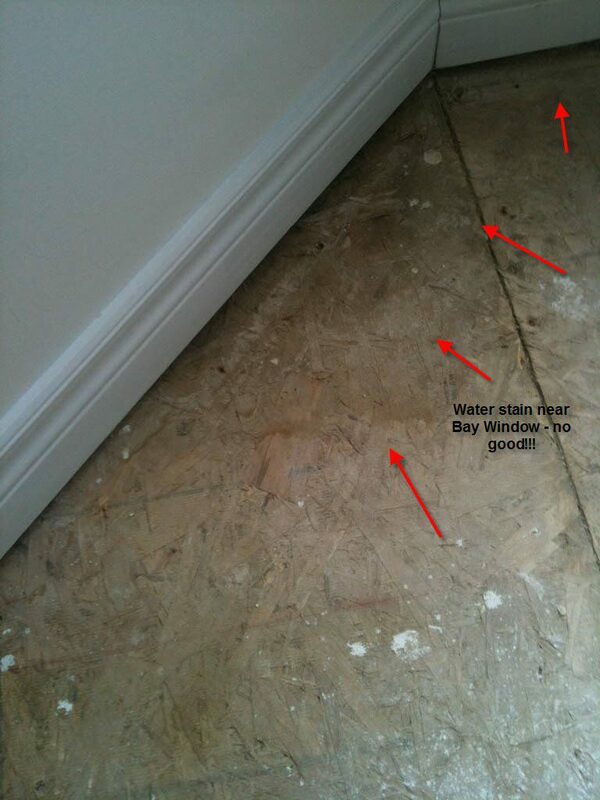 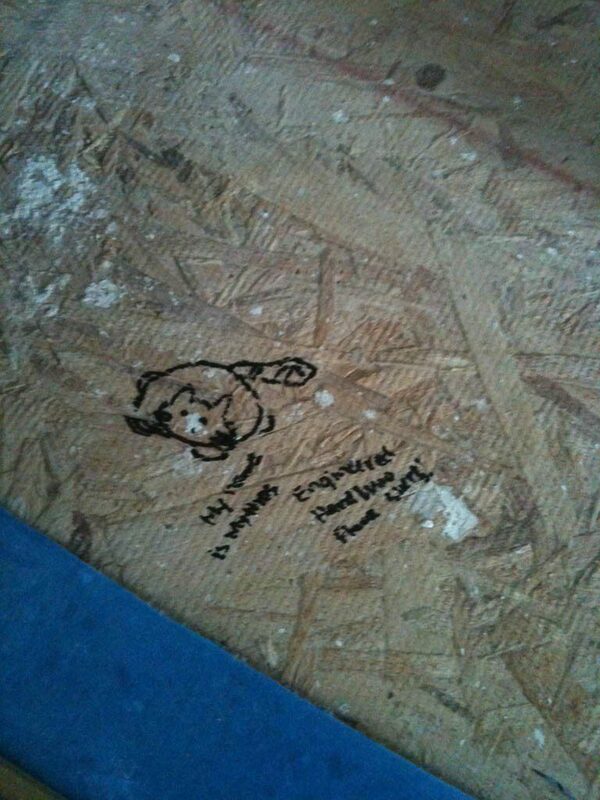 No matter how level the subfloor is and the plank itself may not be always perfectly flat, so there are some area would move up and down when walking on it (Google it or read the forums). 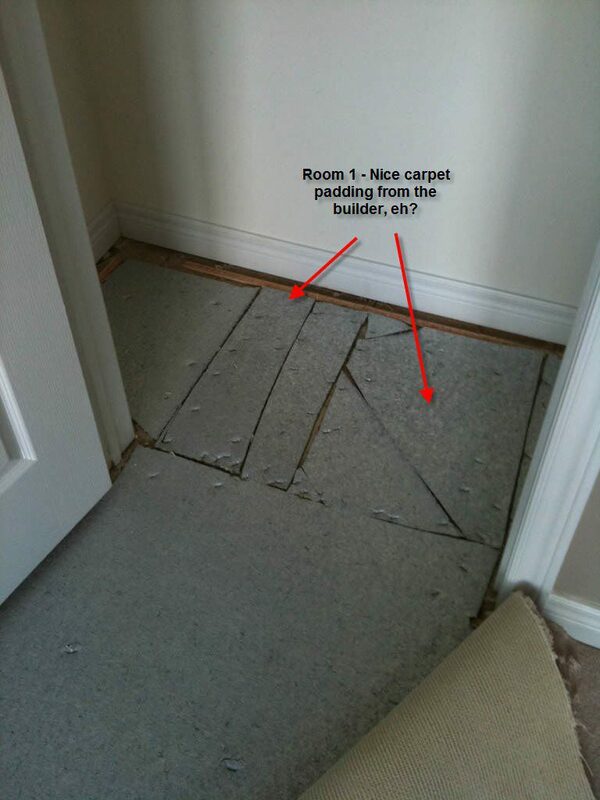 NEVER and DO NOT attempt to apply nail or glue to fix that, because it needs to expand and move sideways, that’s why it called “floating floor”. 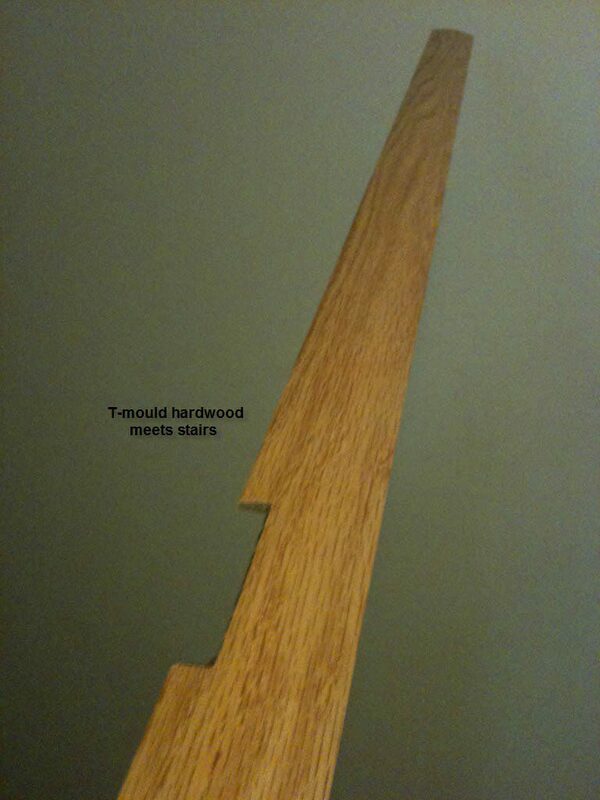 With this experience, next time I would try to conquer the solid hardwood. 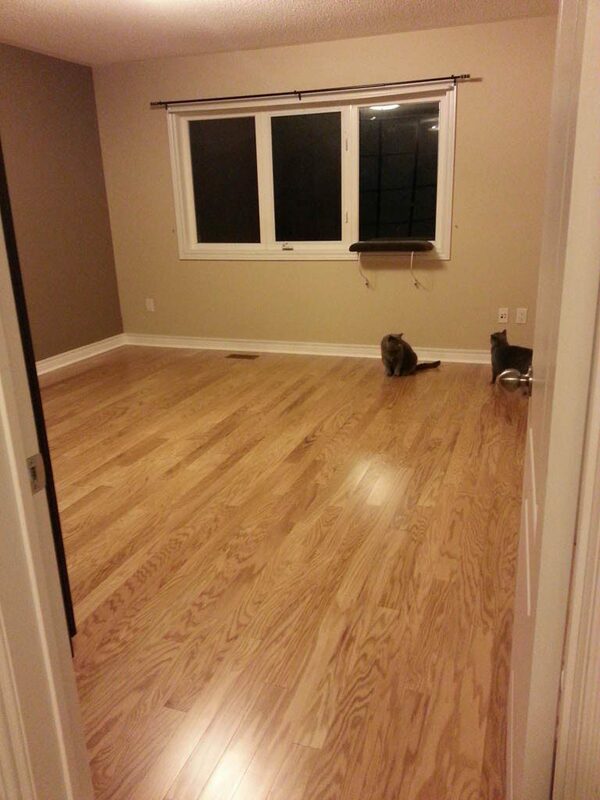 Every Homeowners wants the best hardwood flooring for their needs, budget, and aesthetic preferences always. 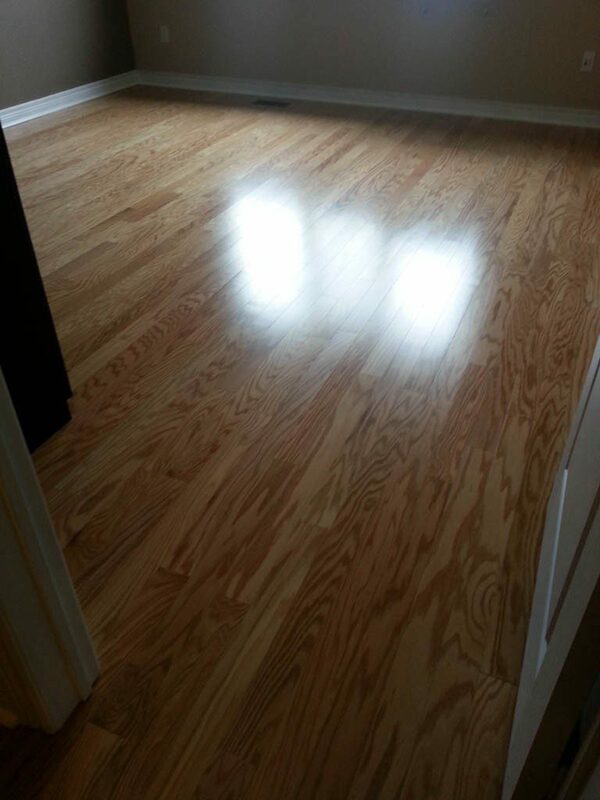 Solid wood flooring are the common and thought of as traditional flooring while Engineered wood floors are plywood, thinner piece of solid wood. 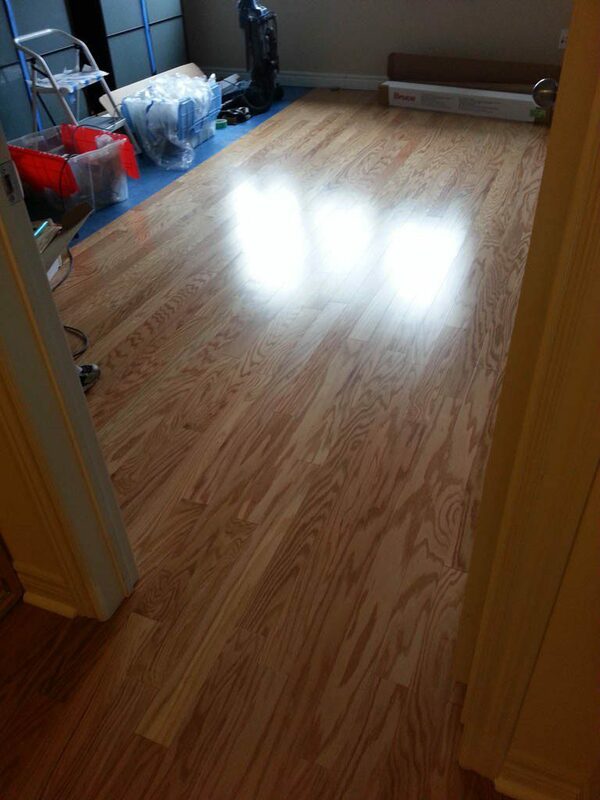 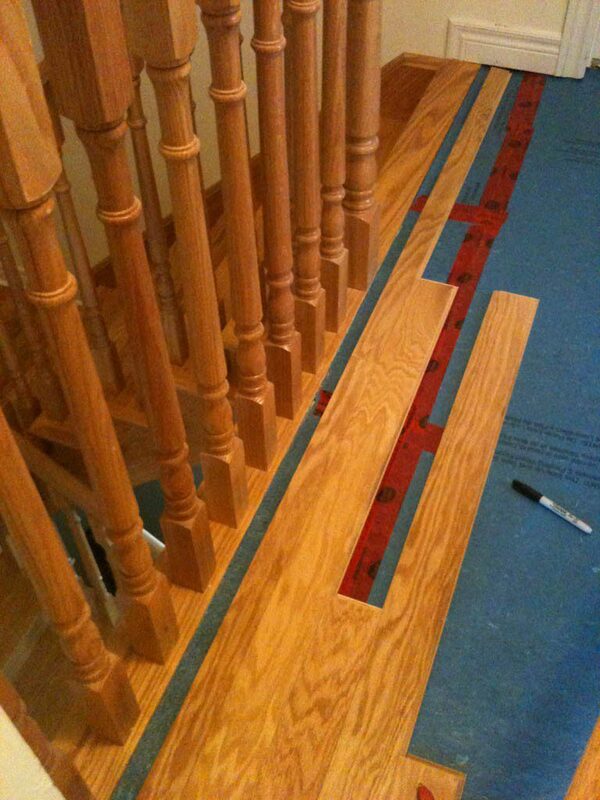 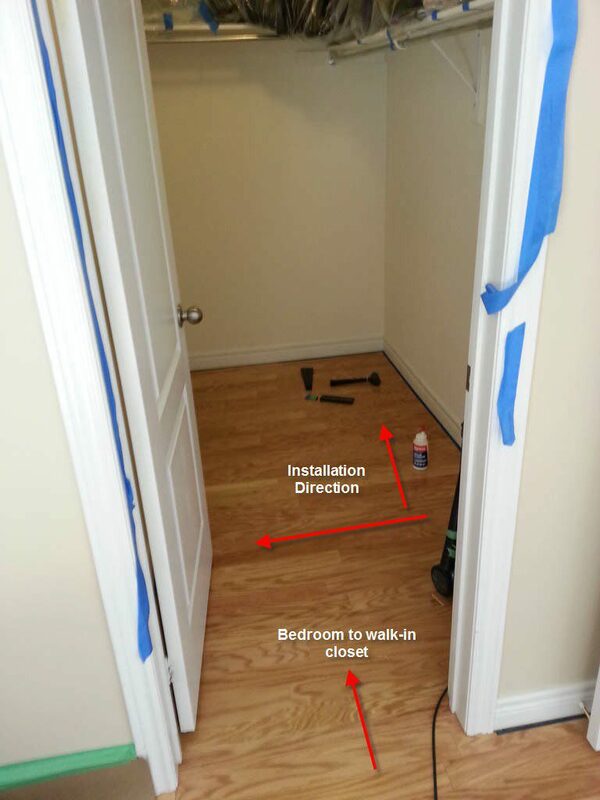 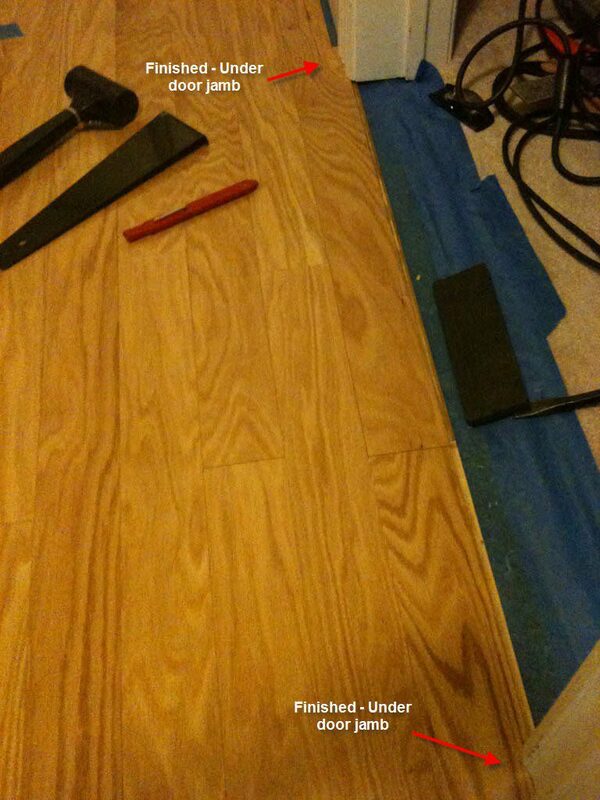 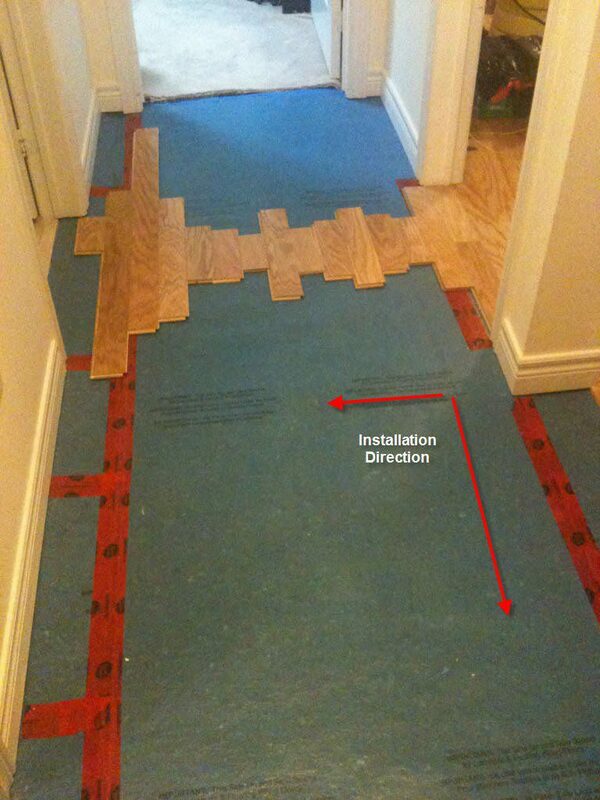 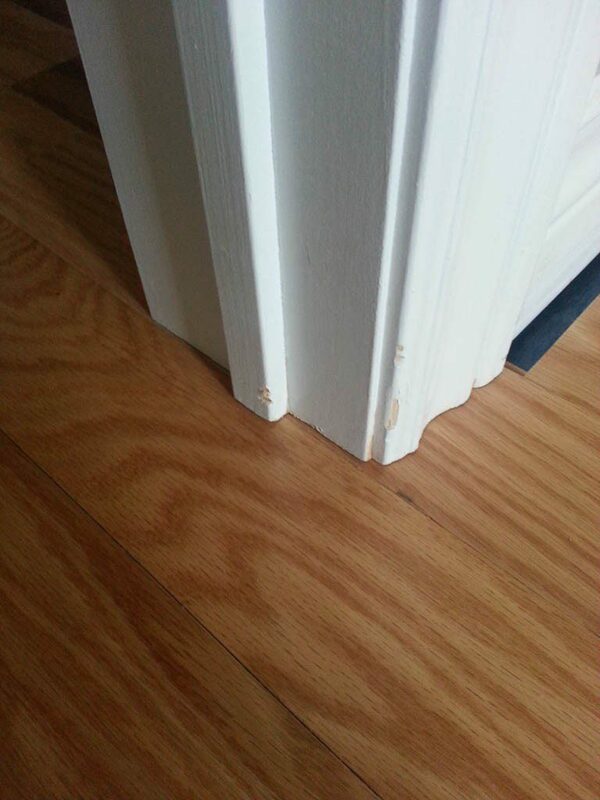 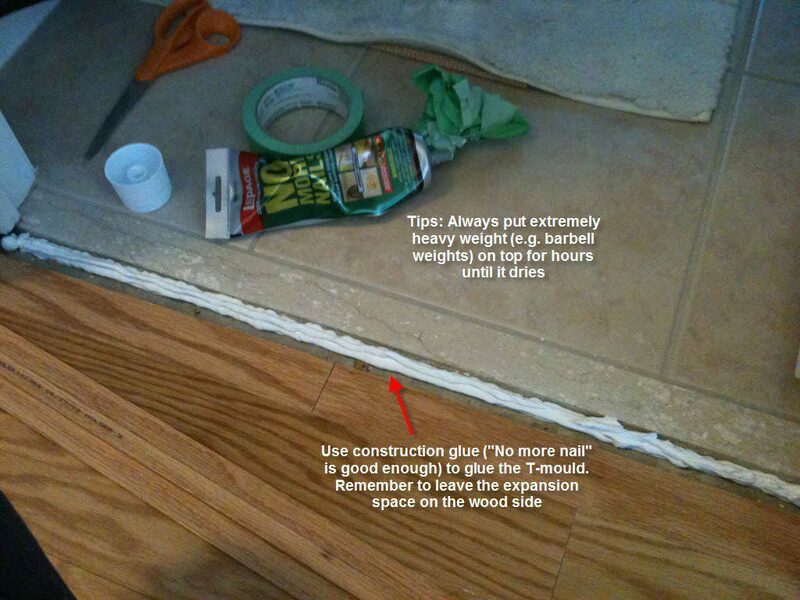 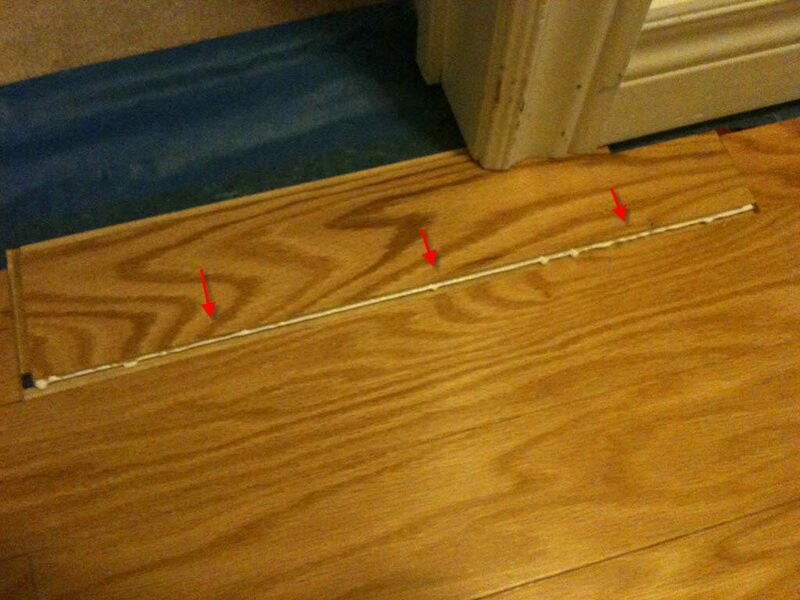 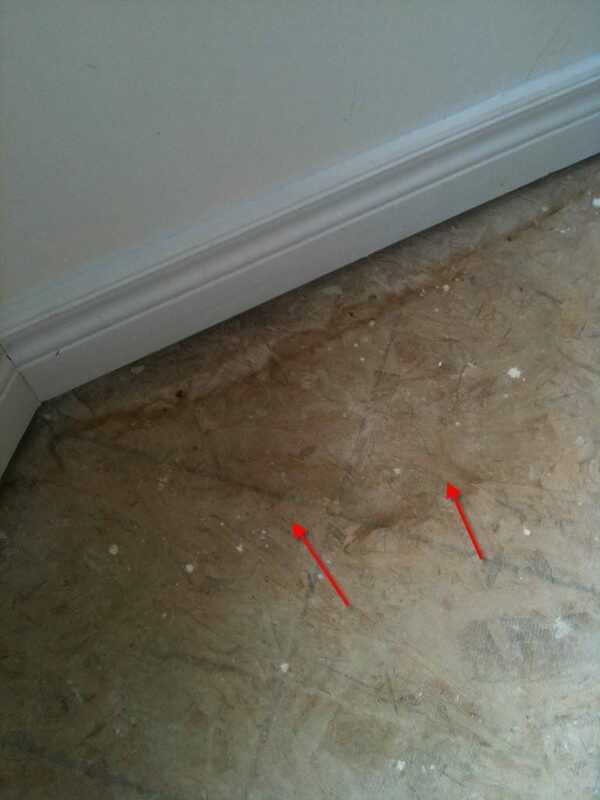 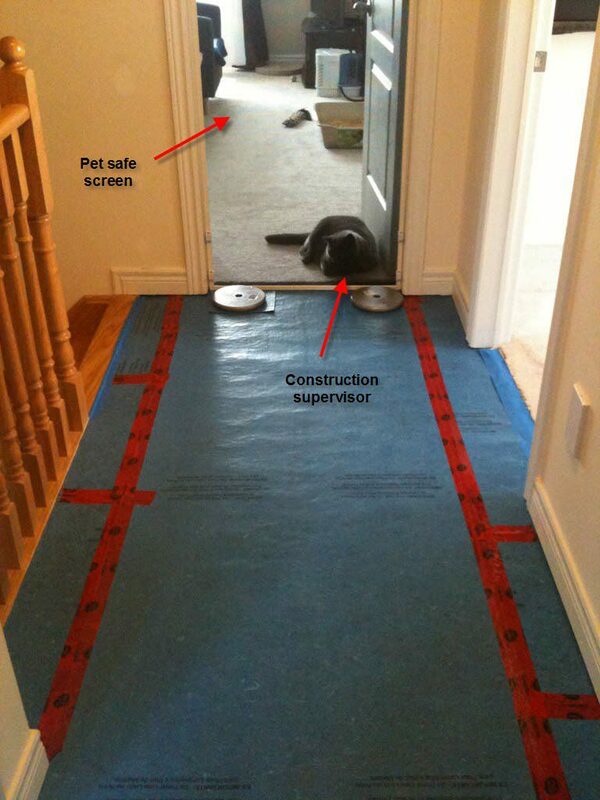 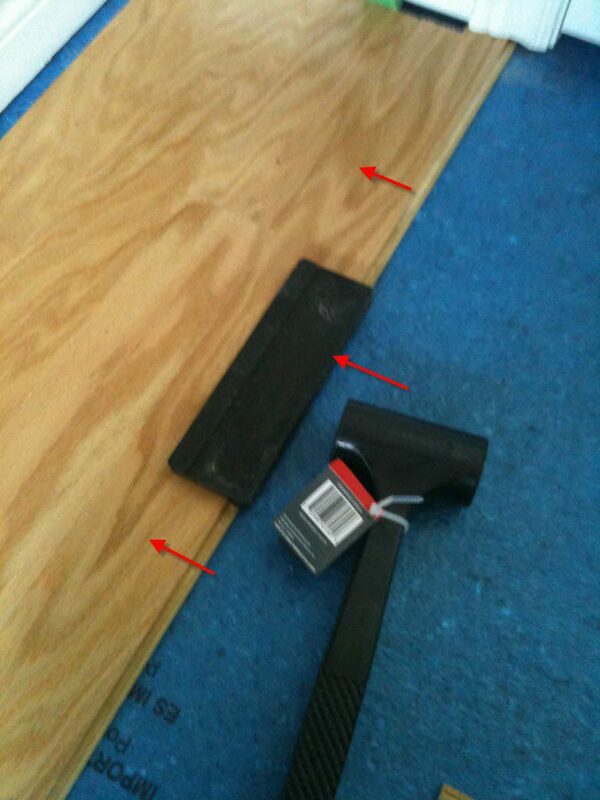 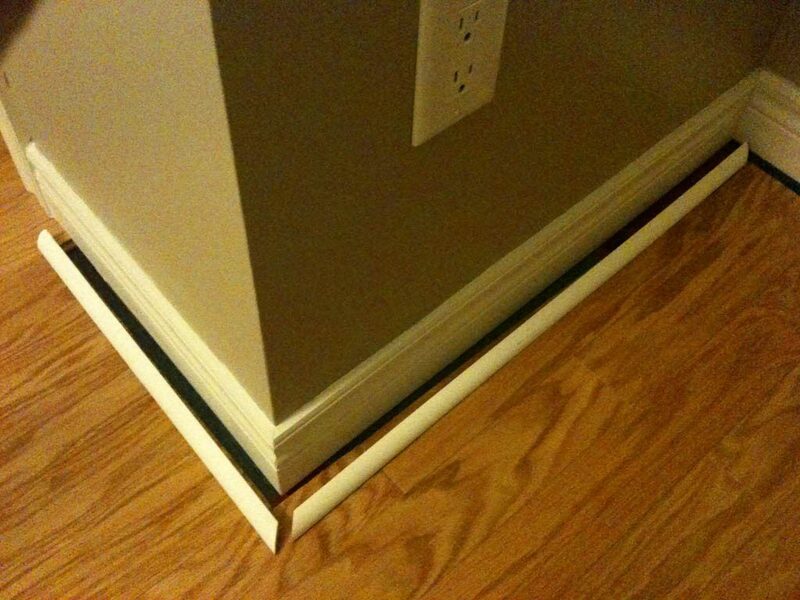 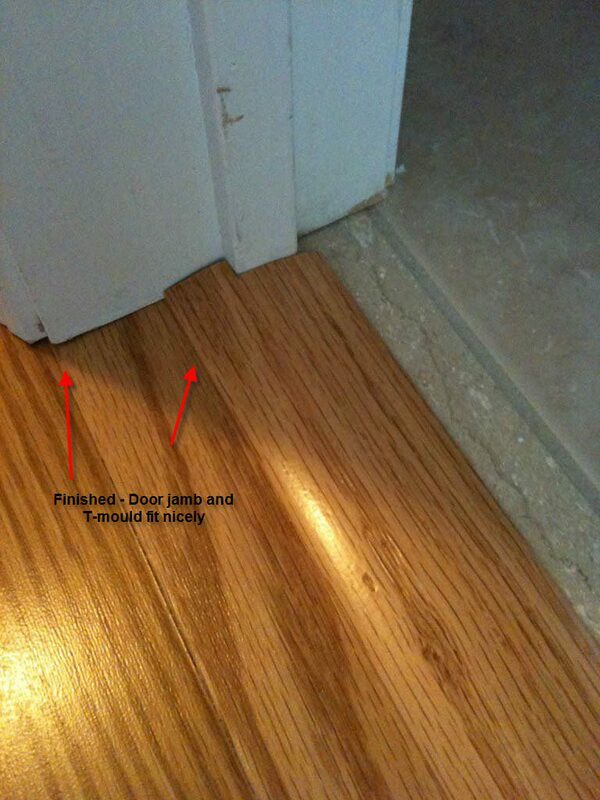 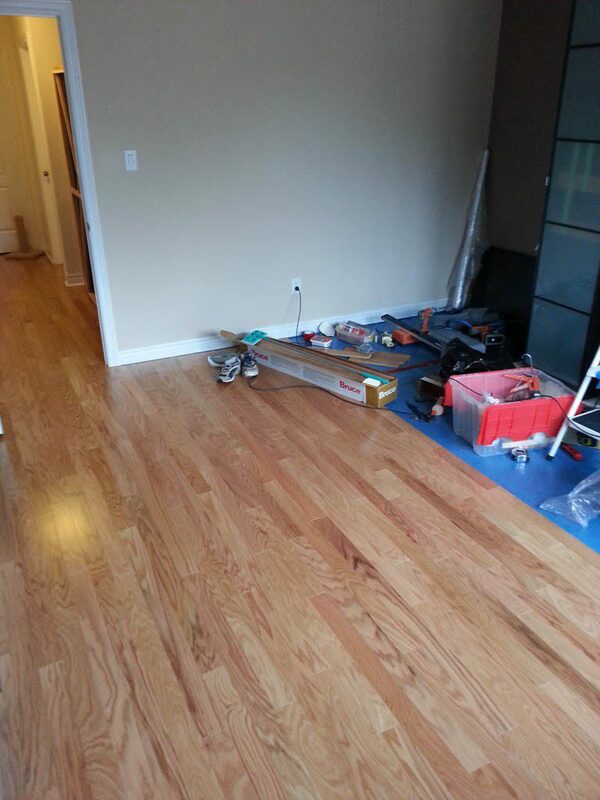 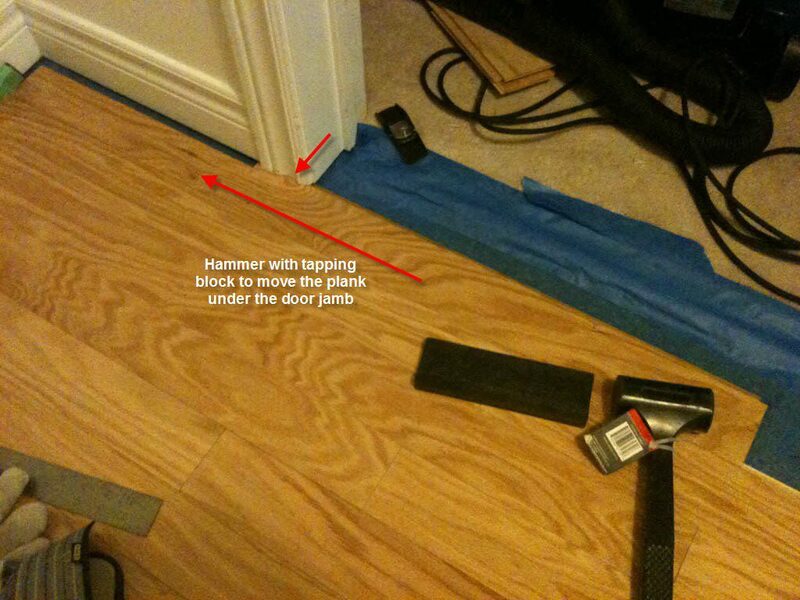 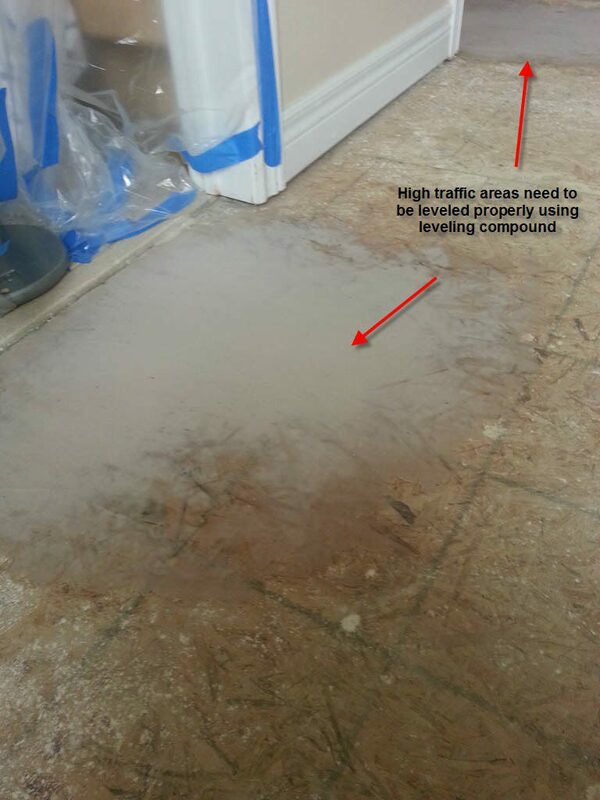 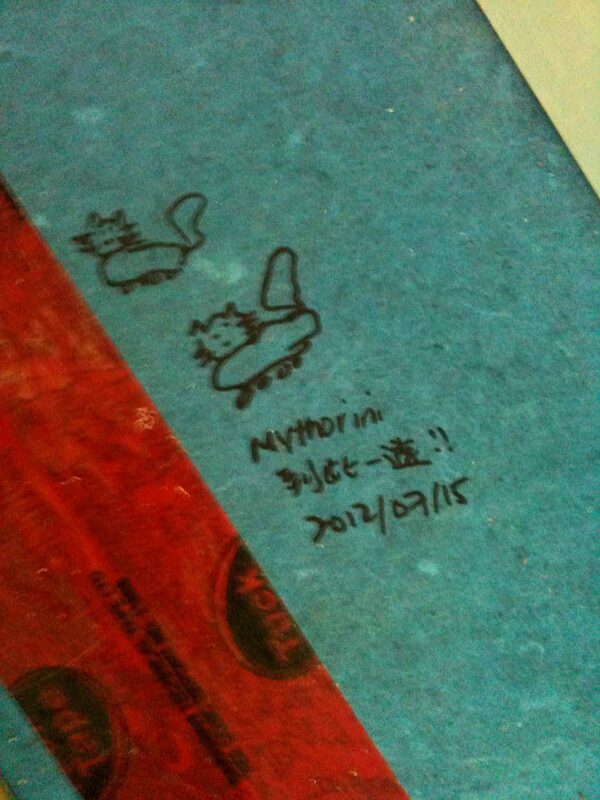 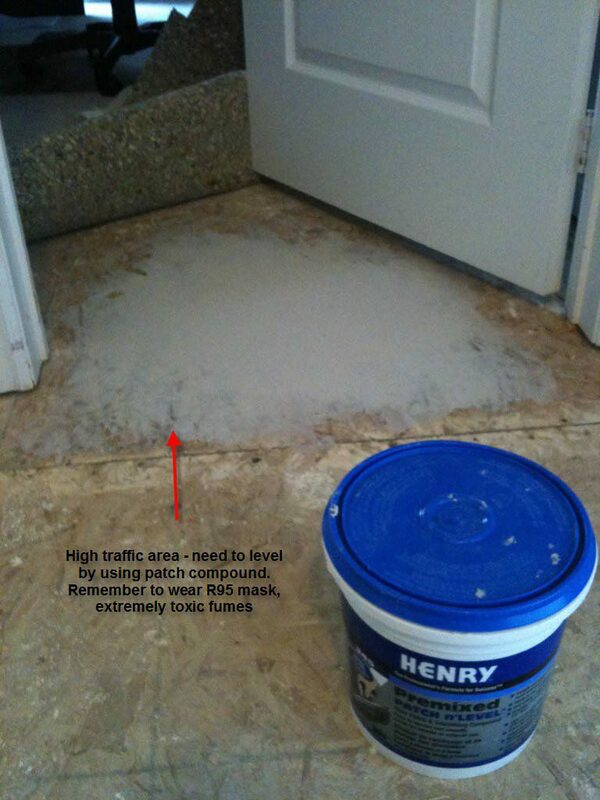 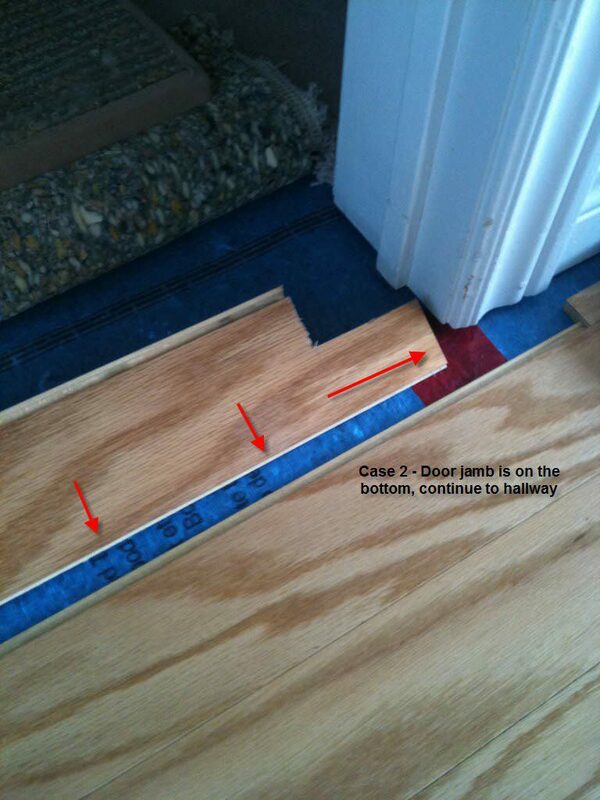 Size of thickness can be very according to the floors adjustment. 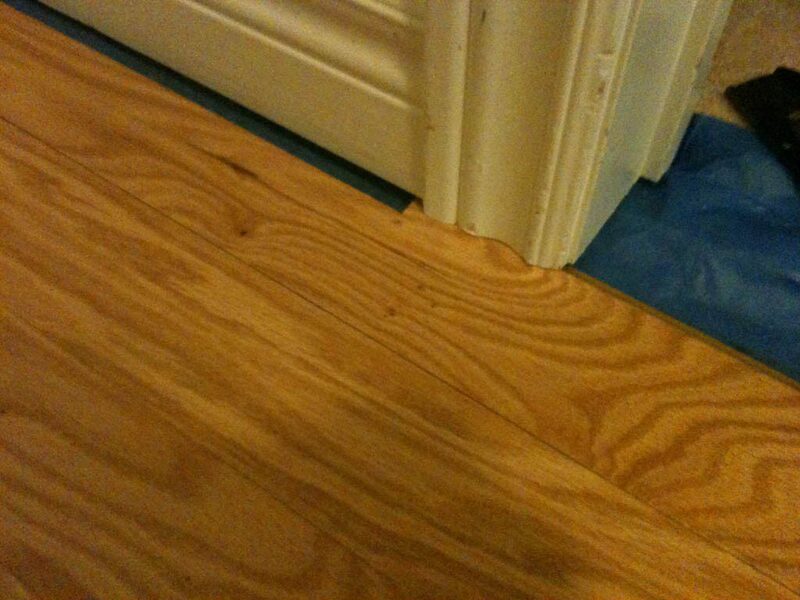 I find the Engineered wood tends to be more stable in toady’s time.